Florence and Tuscany, the city and region I am from and proud to call home, are two of my greatest passions. My work as a tour guide offers me the opportunity to share the beauty, authenticity and wonder of this unique part of Italy with visitors. The tours are organized and tailored to not only meet your curiosities, but to also discover the secrets of Florence and Tuscany’s monuments and art. The itinerary can be customised in order to make your stay unique and unforgettable. 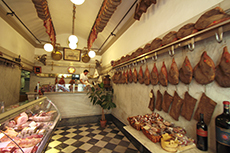 Florence and Tuscany can also be experienced from alternative points of view, with tours dedicated to everything from contemporary art and food, to wine and olive oil tasting. Special tours of Florence and Tuscany can also be organized for your honeymoon, with the option to have the experience recorded photographically or in video. 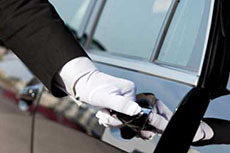 All tours include a private transfer service, including to and from Italian cities such as Rome, Venice and Milan. Visitors will be shuttled in private, comfortable cars, allowing them the chance to take in the beautiful scenery between cities.